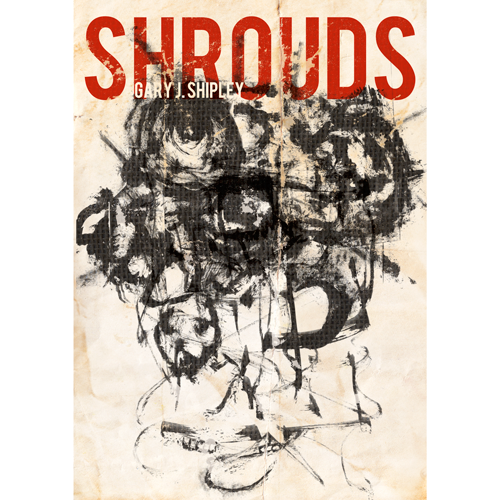 Like the clouds with which its title rhymes, Gary J Shipley's Shrouds allows us to see in its pages landscapes, faces and flying animals, that however never resolve into simply legible, unambiguous figures. Like the clouds with which its title rhymes, Gary J Shipley's Shrouds allows us to see in its pages landscapes, faces and flying animals, that however never resolve into simply legible, unambiguous figures. Cave walls meld into wool skeins that in turn metamorphose into nocturnal fields, then into-yes-abstract shrouds of Turin or undecipherable fragments of the Dead Sea Scrolls: an ink-made world full of suggestions just under the threshold of readability, a magnificent graphic text somewhere between (pictorial) abstraction and (literary) asemia, where the hovering shapes of Rothko or Still cohabitate with Henri Michaux's graphomania and with the raw brushwork of the CoBrA artists.